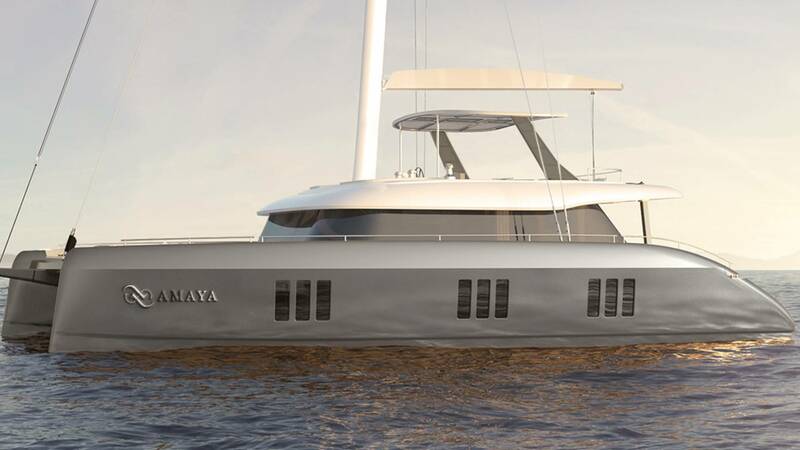 AMAYA is an 18.30-metre (60') luxury sailing catamaran yacht built by Polish Sunreef Yachts, with a launch in 2019. 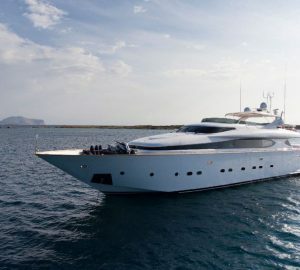 Her five-cabin layout offers accommodation for up to ten charter guests, while a crew of three ensures all have a pleasant and relaxing charter experience. 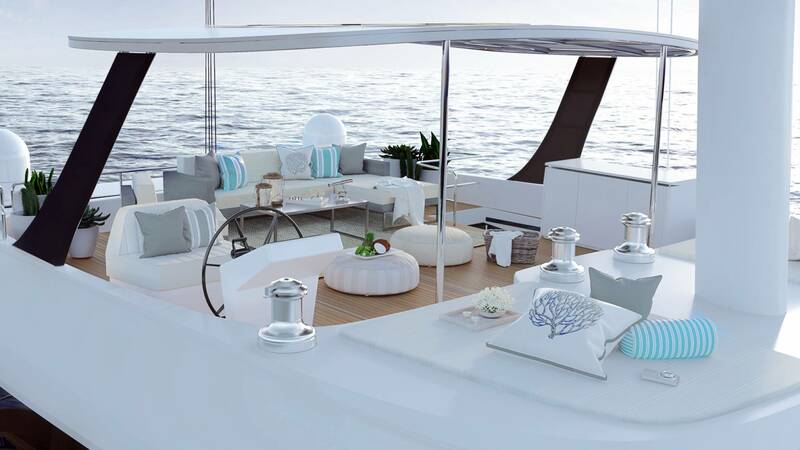 AMAYA offers excellent decks spaces and a practical layout. 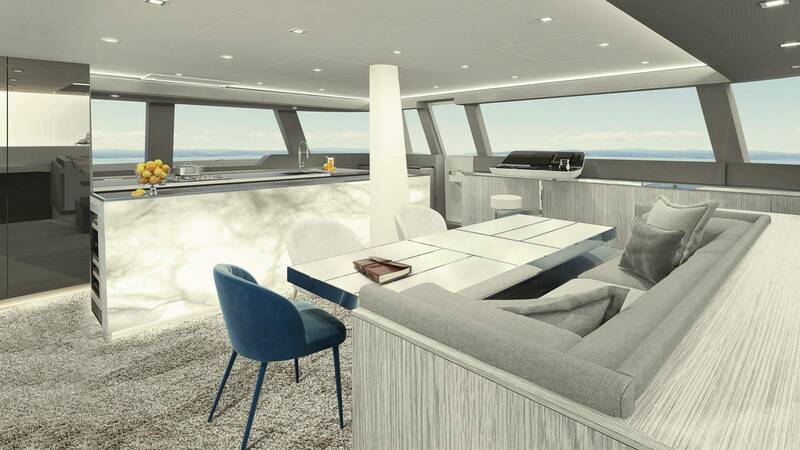 Her spacious saloon transforms into a nice dining area with delicious meals prepared by your on board Chef in the spacious well-equipped galley on the opposite side. 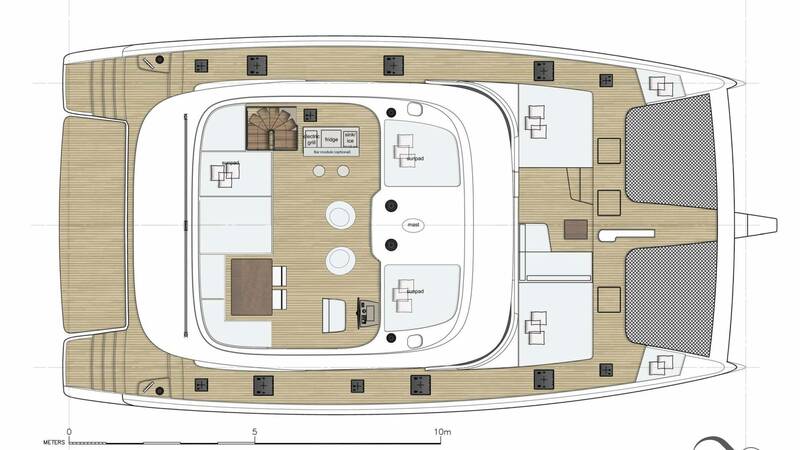 Moving to the exterior, the aft deck boasts a large dining table for alfresco dining, great seating area as well asa sunbathing area. 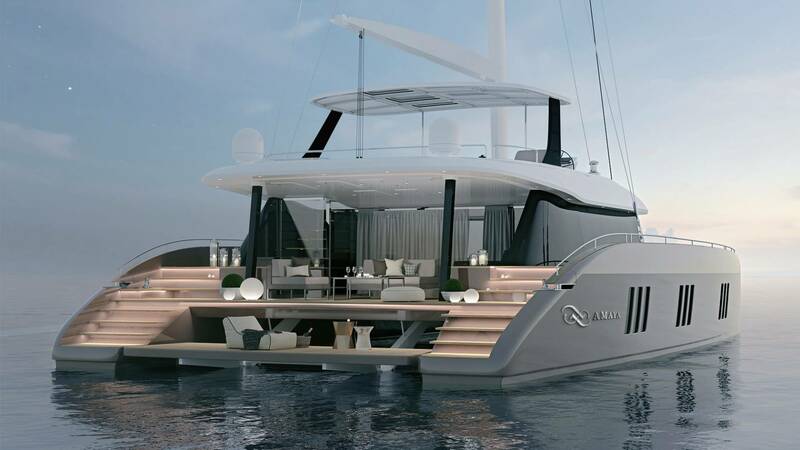 Further aft, stairs lead to a wide swimming platform. Forward the large trampolines and two large sun pads, offer yet another possibility to unwind, together with a small seating area. 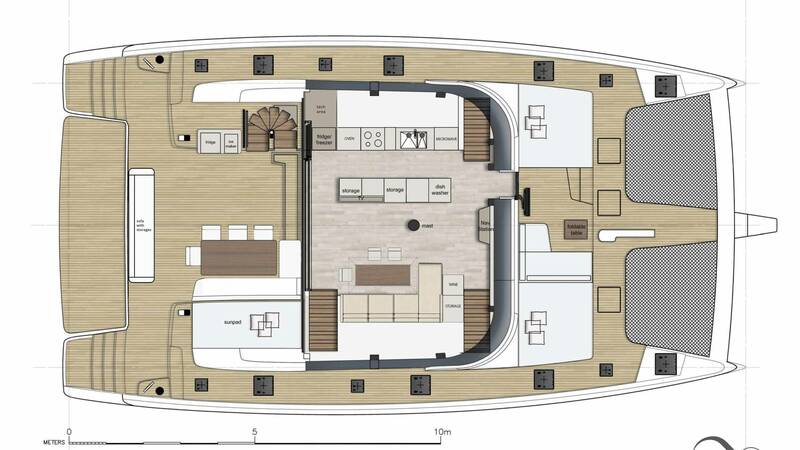 One of the favourites spaces on board must be the flybridge, with a comfortable lounging area and exceptional views. 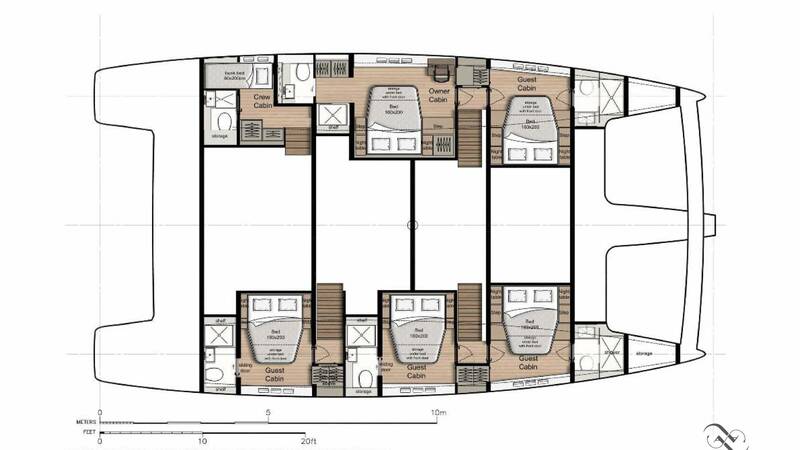 Below decks is the accommodation, featuring queen-sized cabins with private ensuite bathroom facilities. 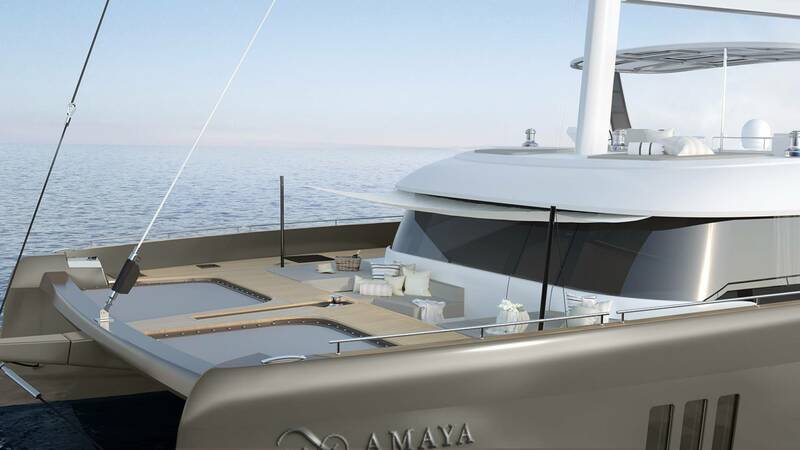 AMAYA has two 110 HP engines, with a cruising speed of 10 knots and a max speed of 12 knots. 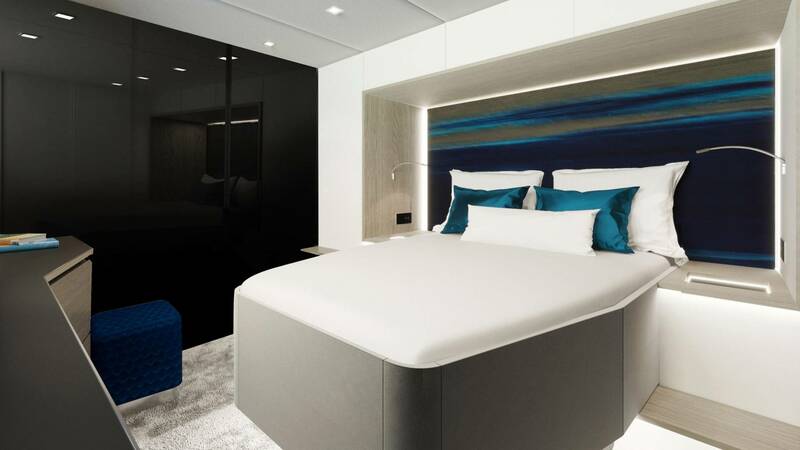 Up to ten charter guests are accommodated across five queen-sized cabins, all featuring private ensuite bathroom facilities.